Properties in Lauraët average 4.8 out of 5 stars. 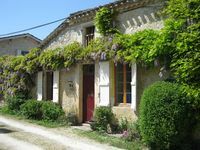 Property 9: Experience a little piece of truly rural, friendly France. Property 13: Do you love Sunshine, Sunflowers and Armagnac? Property 17: Beautiful stone house with stunning panoramic views set in idyllic countryside. Property 24: Cosy and charming cottage on a large nature estate ideal for couples! Property 26: Green Shutters Gite In SW France. Village Location. Heated Swimming Pool. Property 28: Gorgeous farmhouse with plenty of atmosphere, and a large swimming pool. 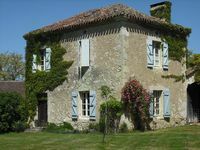 Property 38: Lovely rural gite in beautiful., peaceful location. Property 45: The cork-house in a town boundary of Lot-et-Garonne and the Gers.